Alamo table by LEMA Mobili. 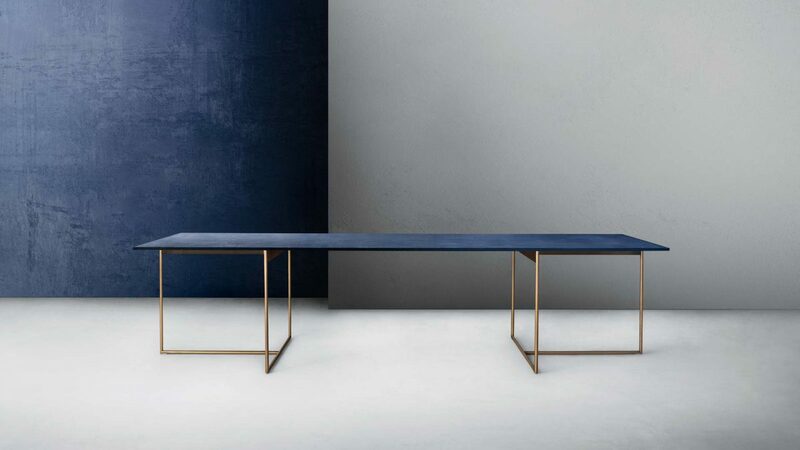 Table structure is made of bronze coated metal. Top presents a brand-new grain-effect top. Made of stratified aluminium, it is characterised by a new and exclusive tactile finish, composed of resin, pigmented marble powder and shavings of precious metals, like bronze and brass. Proposed in three enticing colour options inspired by natural stone Blu Lapislazzuli, Verde Malachite and Nero Belgian Blue. An Art Deco spirit and magnetic charm for the sophisticated and meticulous lines of the Alamo table by David Lopez Quincoces, where the decorative codes of the ‘40s are reinterpreted and fused with a distinctively minimal contemporary style. The designer’s study was focused on the theme of lightness: the elegant structure and the table top have essential lines, creating a timeless design object that has been given added appeal by the combination of different materials. David Lopez Quincoces (Madrid, 1980) he obtained a degree in Art from the University Complutense of Madrid in 2004, followed by a Masters in Interior Design from the Politecnico di Milano. 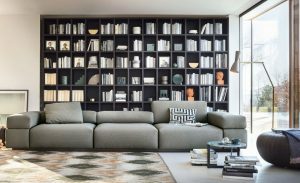 He has lived in Milan since 2005, when he began a collaboration with Piero Lissoni on numerous interior design and architecture projects, such as show-rooms, fair stands, private apartments, offices, hotels and resorts, both in Italy and abroad. Alongside the collaboration with Lissoni in 2007 he opened his own design firm (Quincoces-Dragò & partners), based in Madrid and Milan, where nowadays he practices architecture, graphics, interior and industrial design. 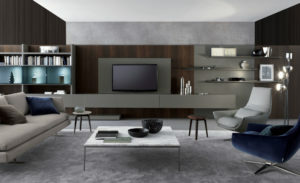 LEMA was the first company in Italy to create custom modular systems for the furniture. This concept allowed Lema to create a complete range for the home that can be arranged according to personal taste and requirements. This is LEMA Casa, where design is free from restrictions and characterized by a lived-in atmosphere, thanks to the impeccable quality and elegance of the single pieces. These creations live in harmony, able to adapt freely and naturally in every home worldwide. 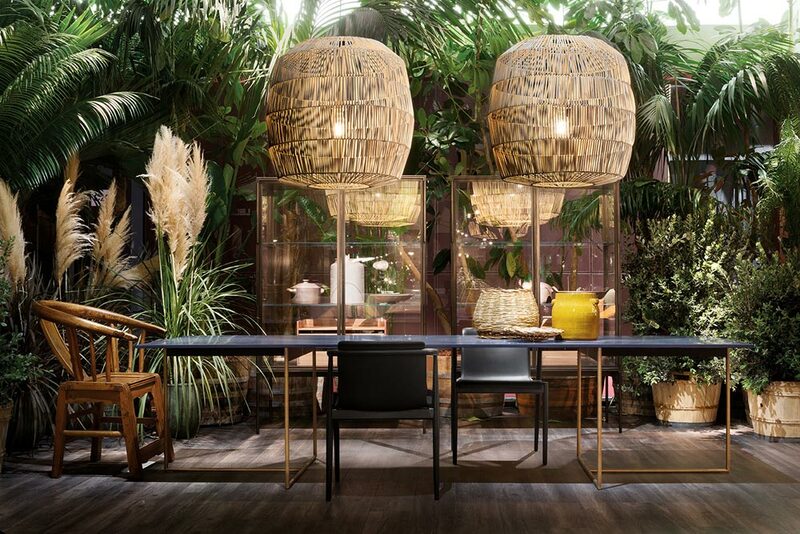 Woods, glass and metals worked in different ways create these impeccably designed items, giving a modern interpretation of the every day furniture and demonstrating the essence of Made in Italy. Special order item, usually ships within 14 to 16 weeks. This item is non-returnable.